There is no price guidance nor timeline on the Terzo Millennio concept -- a production model will not be available for years, if it ever gets there. The next generation of Lamborghinis could act as their own superpowered batteries and be able to repair themselves. 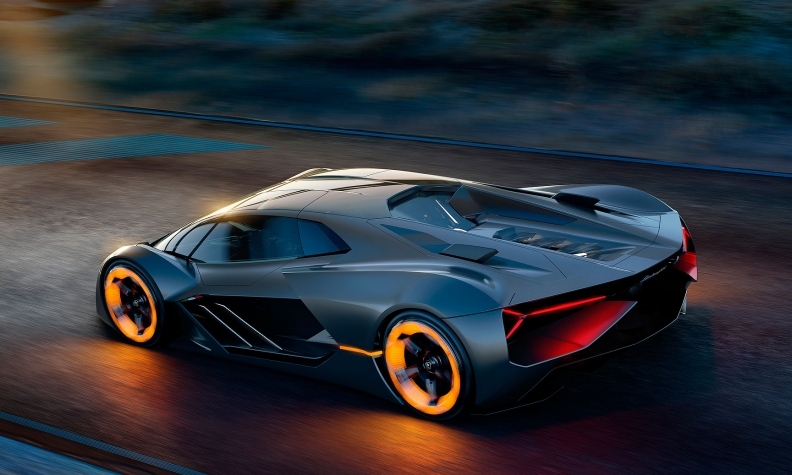 Lamborghini unveiled the Terzo Millennio ("third millennium") concept car at the EmTech conference in Cambridge, Massachusetts, on Monday. The car is the product of the first 12 months of a three-year partnership between the automaker and the Massachusetts Institute of Technology. True to Lamborghini tradition, the car has a lean, windswept design and the brand's trademark Y taillights. The windshield seems to extend from the top of the car almost to the driver's toes, and the body crouches so low it almost looks like an outgrowth of the road. But the most remarkable aspects of the car are invisible -- not least because they don't exist yet. Lamborghini plans to develop supercapacitors that can provide the fast and intense energy needed to power a supercar and would allow for all-electric models. The lithium ion batteries in today's electric cars release energy more slowly and run down over repeated charges because they depend on chemical reactions. Supercapacitors store energy physically and don't generate the heat of lithium ions, but as of yet they don't offer as much power. The technology is currently used in hybrid vehicles, but for limited functions like getting stopped engines going again. "A lot of the innovation that came and made its way into consumer cars started with things like Formula 1 and supercars," says Mircea Dinca, an associate professor of chemistry at MIT, whose lab is one of two working with the automaker. "I think that if Lamborghini and we deliver on this promise, it will be really cool for the future of all transportation." 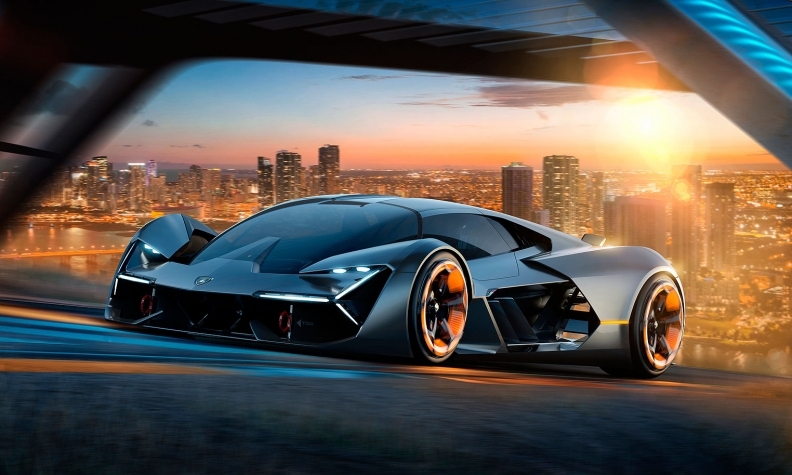 Lamborghini also intends to make the supercapacitors out of carbon fiber panels that can be used to form the body of the car so the Terzo Millennio draws energy from its own body. In other words: the car itself is the battery. Moreover, the concept promises a car that will be able to continuously monitor the condition of its own structure, detecting wear and damage. Micro-channels containing "healing chemistries" in the carbon fiber body will automatically repair small cracks that would otherwise spread. To top or, more accurately, bottom it all off, the company will develop in-wheel electric motors, which would eliminate the need for a single large engine. "Collaborating with MIT for our r&d department is an exceptional opportunity to do what Lamborghini has always been very good at rewriting the rules on super sports cars," said Stefano Domenicali, chairman and CEO of Automobili Lamborghini. Lamborghini got its start in the 1960s in Sant'Agata Bolognese, Italy, when Ferruccio Lamborghini, a tractor maker who had become a wealthy industrialist, decided he wanted to top Ferrari. Today it is part of Volkswagen Group, and its cars start at around $200,000. There is no price guidance nor timeline on the Terzo Millennio -- a production model will not be available for years, if it ever gets there. But affordability isn't really a concept we can see Lamborghini exploring.